Join the party, meet people, have a drink and be guided by locals! Our pubcrawl is a lot different than to those all over Europe and America. We keep the price to a minimum and do not include any drinks, you control your own consumption. Bar crawlers will get a 20-30% discount and various happy hour deals on any cocktail, draft beer, vine or shot the bar may have. Therefore those in the crowd who don’t like shots don’t have to force one down, and those who don’t like beer can always go for cocktails or vine. We start at 10pm, visit 3 bars before we go to a night club at 1am (VIP ENTRY – LINE JUMP AND NO ENTRANCE FEES) Once in the crowded club its hard to keep track of everyone but you still have access to deals on the bar throughout the night in any of the bars we visited. The pub crawl therefore ends at 1am officially. We strongly encourage you to stay on and hold on to new friends you’ve just met. The 2-3 Icelandic guides accommodating the group might be heading to bed at this point. Please respect that. 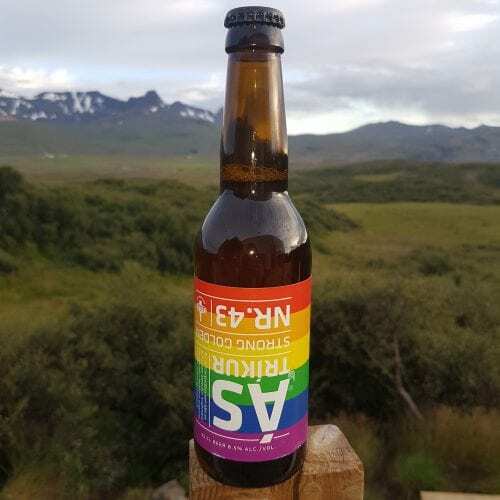 Drinks are very expensive in Iceland. Draft beer is often going for 1200-1300 ISK. A glass of vine at 1500 ISK and Cocktails 2500 ISK. Obviously our discount will get you the drinks cheaper. For the heavy drinkers this is a winning formula and the price you paid for the pubcrawl will turn into savings! Literally too good to be true. Looking for other activities in Reykjavik? Take a look at our Partner Tours! – Make sure you book early, we are always fully booked and cannot add extras last minute. – Once we’ve received your booking and payment, you’ll get an e-mail including the starting venue. The Venues we go to have been selected by our local nightlife experts. We start with relaxed atmosphere where we can get acquainted before moving on to venues involving more dancing. Eventually we go to a club as our last venue where the Pubcrawl officially ends at 1am. All of them are close to one another. We’ve realized that people are not drinking between bars and besides it is quite cold 8 months of the year. Thankfully we won’t walk much at all on this pubcrawl which all takes place indoors. Dress code is very much up to you. None of the bars we go to emphasize clothing, so you are free to wear anything you like. Only 3 venues in Reykjavík have a dress code, and none of them are our stops. Icelanders tend to dress classy, so if you want to keep up with the locals, at least a dress shirt would be a good idea! Hello guys! We are the experts at this and we can surely accommodate you. Please let us know if you are a part of a big group celebrating a unique event, because we tend to call out an extra guide and make sure the night goes as perfectly as possible. If you are more than 10 people, you might consider a private pubcrawl, a bottle table or a similar VIP treatment. Please get in touch via our contact form for options. Highly recommend these guys if you’re looking to do a pub crawl and meet new people. You get a bracelet which gives you discounts on your drinks in the pub crawl bars. Went on to couple bars n danced the night away at American Bar. Fantastic experience ☺?? 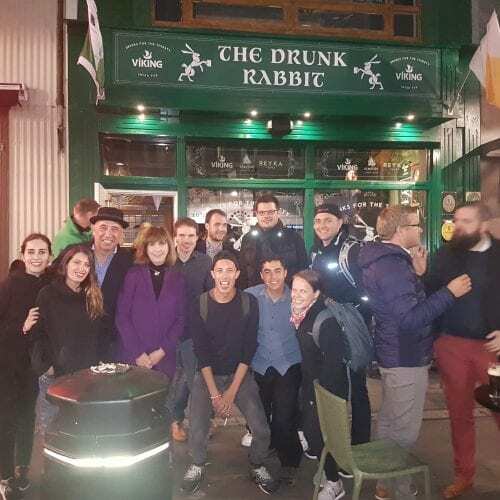 An amazing Pub Crawl and Walking Tour with CityWalk! Our small group (10) booked the evening Pub Crawl and a Walking Tour the next morning with CityWalk in mid-September. 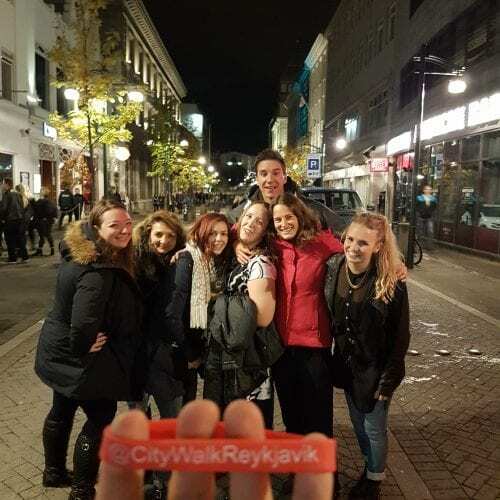 And while Marteinn, CityWalk’s organizer and tour guide, was doubtful that the group would actually make the CityWalk after a night spent visiting the pubs of Reykjavik, I’m happy to report that the entire group loved both events! 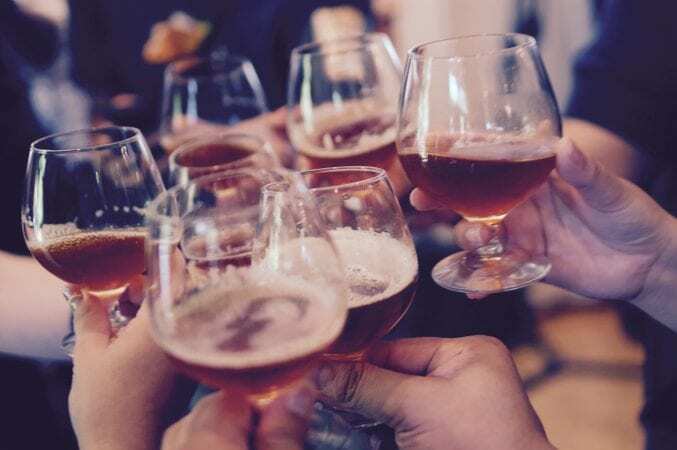 The Pub Crawl was relaxed and friendly – a perfect opportunity to meet other revellers and enjoy good music and good beer. We may have pooped out a bit early but only because of the rigors of travel! The staff of CityWalk did an excellent job of making sure each participant was comfortable and included. I would heartily recommend the programs of CityWalk to all visitors to Rejkavik! Fun and laid back… CityWalk is a must! My mom and I did both the PubCrawl and free walking tour. Both were amazing! Eiríkur was our guide for both events and he was great. Overall, I would highly recommend adding CityWalk events to your itinerary. At the PubCrawl there were people in attendance of all ages from all over and everyone was very friendly- a great way to meet other travelers and locals. I highly recommend this if your in Reykjavik on a Saturday, great way to start out your Saturday night. They took us to three bars, each of a different style which was great. Then we ended at a night club, at which point you could stay or go out on your own.